Unbelievable as it may sound; one parrotfish is capable of creating one ton of sand a year! there is a need for many females to release eggs and only a few males to fertilize them. Parrotfish are an excellent example of animals that have evolved traits, peculiar as they may be, to help the survival of the species. 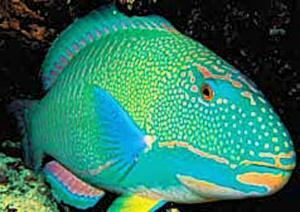 As with other reef fish, parrotfish greatly depend on the reef for food and protection. 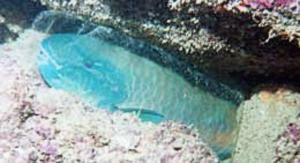 Likewise, the reef greatly depends on parrotfish to maintain its health. So, the next time you are snorkeling or diving, don’t be alarmed by the munching sound you may hear – it’s just a parrotfish doing its job.